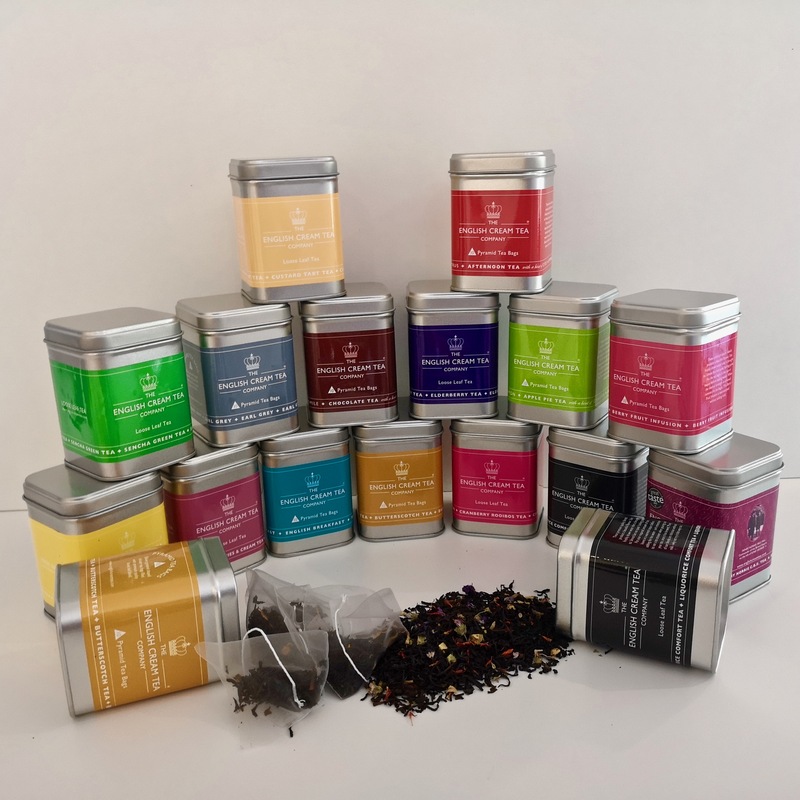 From the traditional to the adventurous, we have a range of fine teas for your enjoyment and exploration - and they make perfect gifts too! The teabags are made of cornstarch and are biodegradable. We put really great quality teas inside each bag (and hint - you can usually use each teabag more than once!). Here's the range for you and the price INCLUDES standard post to the UK. For deliveries further afield, please email the delivery address and we'll quote. * Henry Norris CBE Smokey Tea (award winning smokey tea containing Lapsang Souchong amongst its ingredients) - blended in honour of the great grandfather of the founder of The English Cream Tea Company. Henry ran the docks of London during the first world war and was asked by King George V to keep tea/sugar coming in to the UK at all costs. For his important work he was given the CBE (Commander of the British Empire). * Berry Fruit Fusion - no caffeine - this fruity delightful drink is bright pink in your cup. * Apple Pie Tin - tastes exactly like it should. Contains dried apple and cinnamon (but no pastry!). * Chocolate Tea - amazingly chocolatey and comforting! * Butterscotch Tea - tastes how it sounds - almost addictive! Price includes UK Postage of these 3 tins (with 10 quality pyramid teabags in each). * Liquorice Comfort Tea - if you're a lover of liquorice, this is the one for you! * Strawberries and Cream Tea - amazing! Any queries, please call 01279 876661 prior to consuming. Always happy to help.